About Us - The Isle Co.
Family owned and operated, The Isle Co. specializes in bringing you the unique experience of our soy lotion product line. 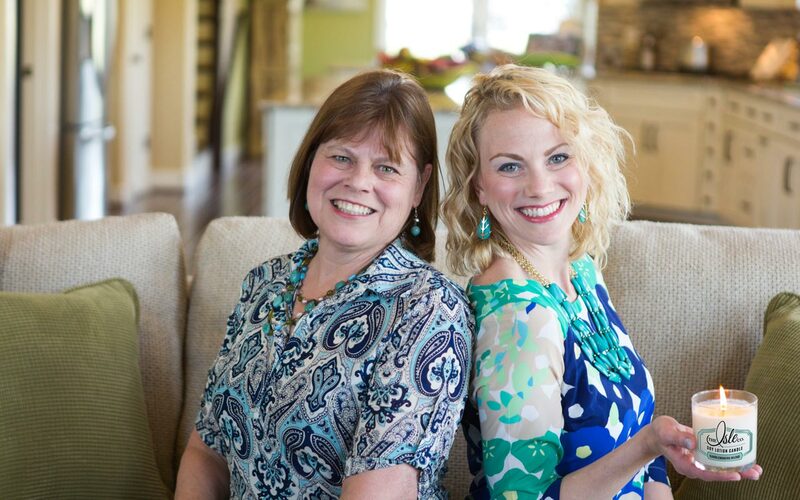 It all started when owners Bob and Kathy Miller headed to South Carolina after raising 3 daughters in Virginia. They were ready for warm weather and new adventures. What they didn’t expect was to be inspired by a candle. But, they saw the potential in using warm soy oil as a body lotion and took that flickering spark of an idea and turned it into a flame that now shines bright through our signature Soy Lotion Candles! 1. YOU are our number one priority. Offering customers friendly and personalized service with southern charm and a tropical smile is incredibly important to us. We are here to help you find the right products, answer your questions and well, become your friend along the way. 2. Our PRODUCTS are carefully crafted with love. Our philosophy is to focus on one thing and be the best at it. For us that is providing the most unique, highest quality Soy Lotion Candles (and melts and bars!) that are both good for the environment AND great for your skin. 3. And of course….enjoy the journey and always be grateful. The Isle Co. has been a favorite shopping destination for locals and visitors alike for over 10 years. Our flagship store is located in the Hammock Shops Village in beautiful Pawleys Island, SC. Here you will find our manufacturing facility and onsite retail shop. Or visit our newest store in downtown Harrisonburg, VA. Whether your pleasures are candles, melts, lotion bars or soaps you are sure to find your new favorite bath and body product at The Isle. You can also shop our wide array of other merchandise including candle warmers, candle accessories, and our ever popular glitter scarves. Next time you’re in the area we invite you to stop in and experience the wonder of our Soy Lotion Product Line! By understanding what people appreciate and expect in fine candles, The Isle Co. prides itself on exceptional style, unsurpassed selection and an abundance of fragrances. 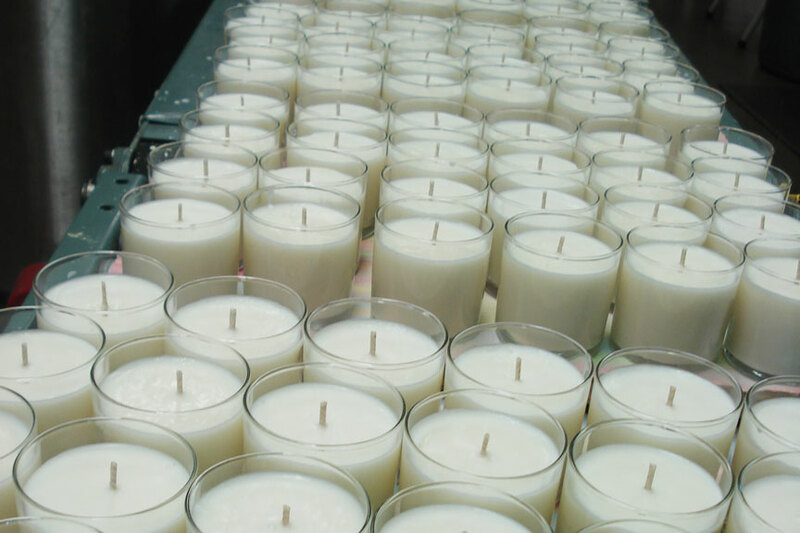 The process of creating candles begins in our on-site design center and factory. 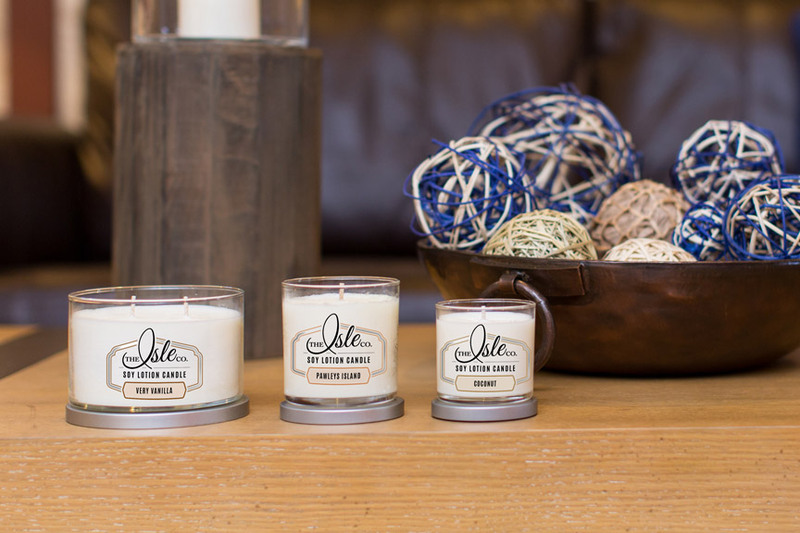 (As you browse our retail store you can even ‘take a peek’ into the factory and watch our candle-makers at work!) We have tried and tested literally thousands of different combinations of aromas, wick types and custom variants in order to bring you the best candle possible. To ensure the quality of our products, The Isle Co. uses only the finest ingredients available, allowing us to meet and even surpass our customers’ expectations.